Beginning this week, I'll be sharing an awesome fashion-related DIY each month on See Kate Sew. 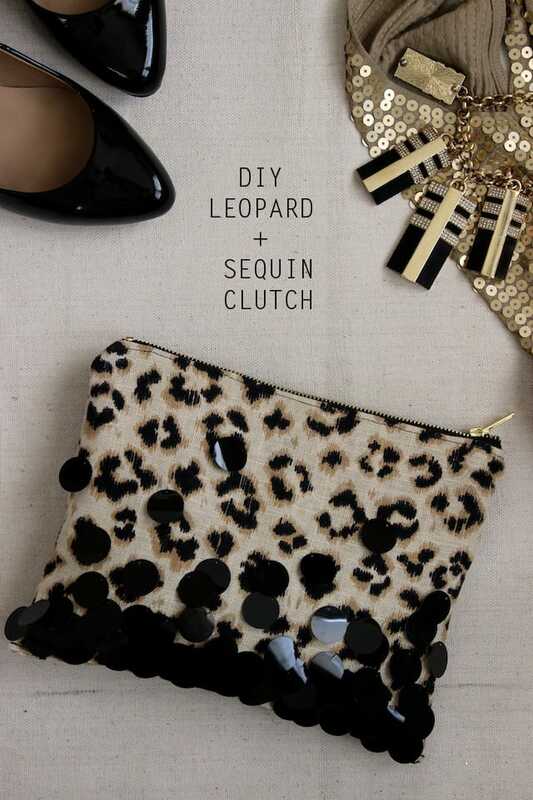 I'm kicking things off by customizing one of Kate's own sewing tutorials to create this ridiculously awesome leopard and sequin zippered clutch -- perfect for holiday celebrations and officially my new favorite clutch! You can find the full tutorial here. Do you mind telling me the brand of the leopard fabric? I love it, but can't seem to find it!